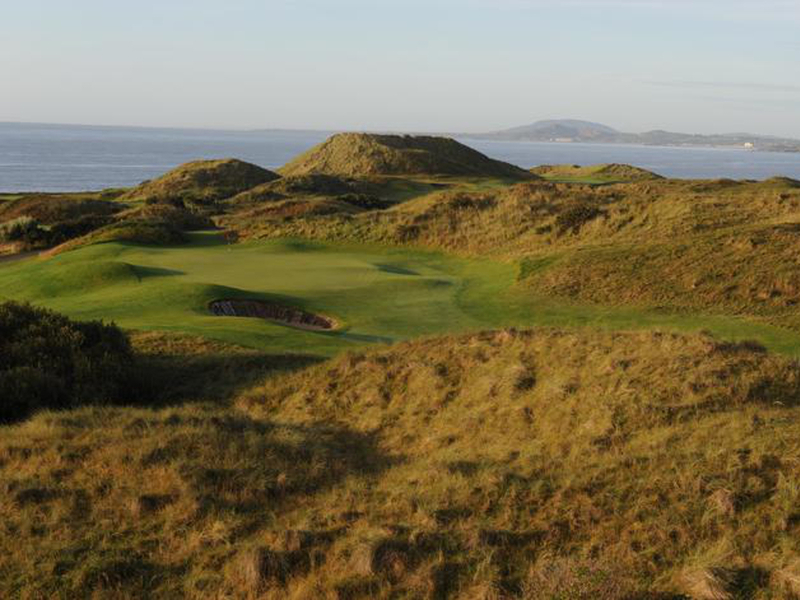 Play the best golf courses in Dublin area and in Northern Ireland including Royal County Down and Royal Portrush – This superb itinerary gives you the opportunity to test your skills on Ireland’s most inspiring links courses. Experience the rugged beauty of the Northern Ireland coastline and the poetic charm of Dublin city. 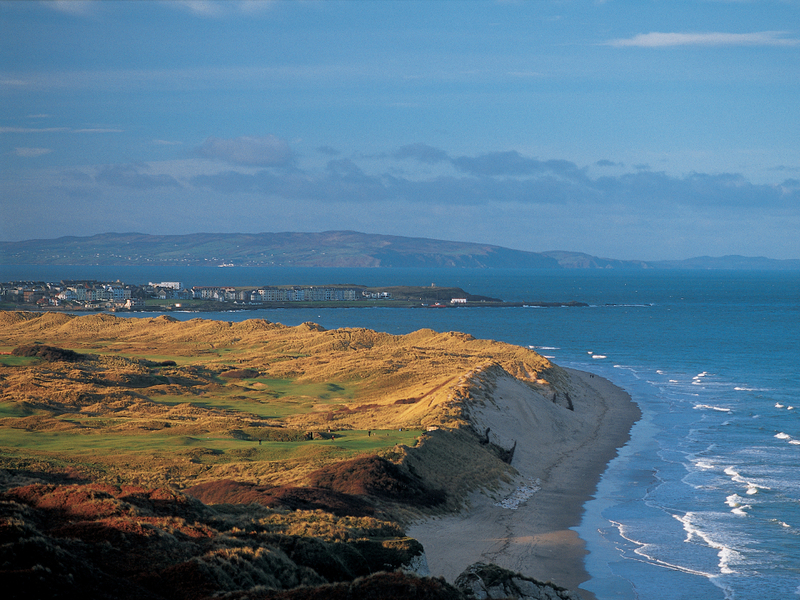 Combine the rough and rugged Northern Ireland coastline with Joycean Dublin and play 5 of the highest ranked golf courses in Ireland. Begin your trip with a 2 night stay in exciting Belfast. One of Ireland’s most famous of links courses and the only club in Ireland to have hosted the British Open. 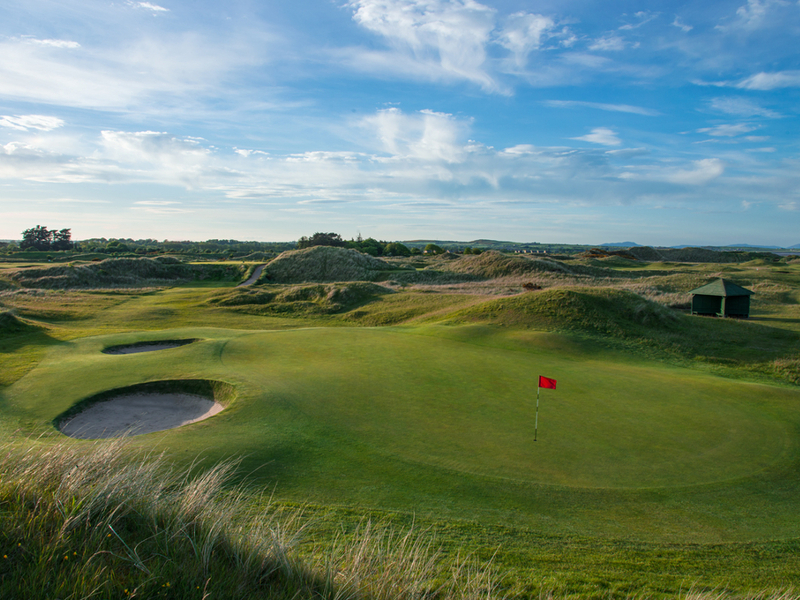 Royal Portrush Dunluce course is laid out in a marvelous stretch of golfing country. Through a tangle of sand hills the course threads, its way, with the sweeping contours of dunes, lending infinite variety to your game. This course has been portrayed by many golfers to be one of the most challenging in the world. Founded in 1889, this course offers an exhilarating challenge to even the most experienced golfers. 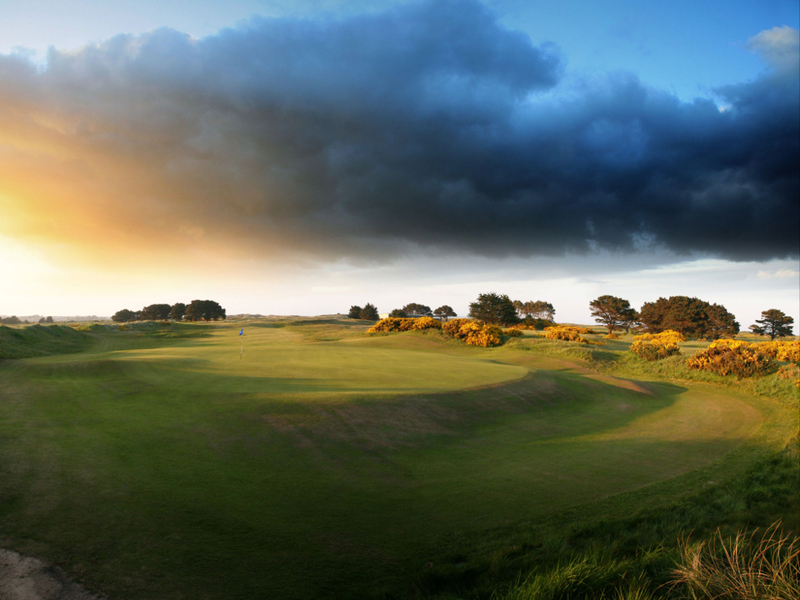 The setting of this links course is continually remarked upon for it outstanding beauty. The fact that this course has five blind tee shots and several obscured approach shots makes it all the more formidable to play. Continue your trip down the coast to Dublin in the Republic of Ireland for your final 4 nights. County Louth Golf Club or “Baltray” as it is more affectionately known is situated 4 miles from the historic town of Drogheda at the mouth of the river Boyne. With the river to the south and the Irish Sea to the east. This is Links golf at is very best, with only the muted murmur of a ships engine to break the sounds of nature, as it quietly winds its way up river to the port. 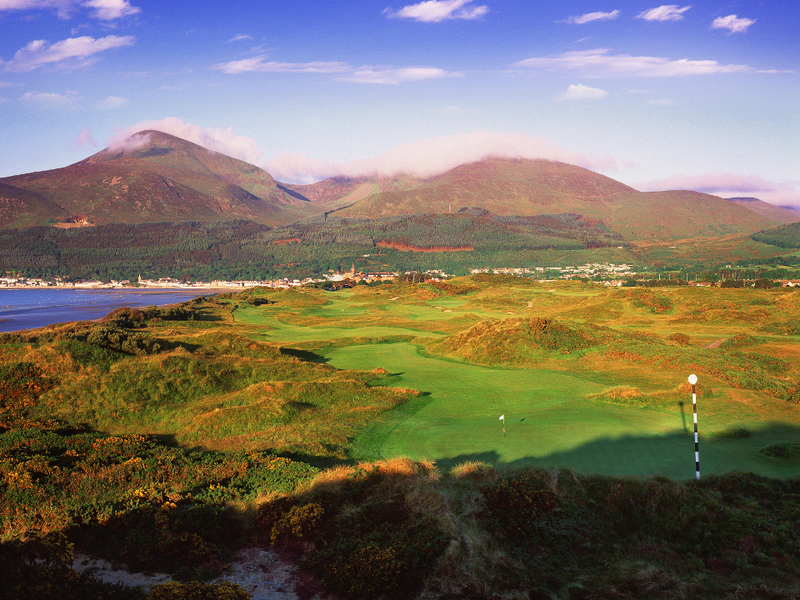 Host to the ’3′ Irish Open in 2009 and the 2004 Nissan Irish Open.